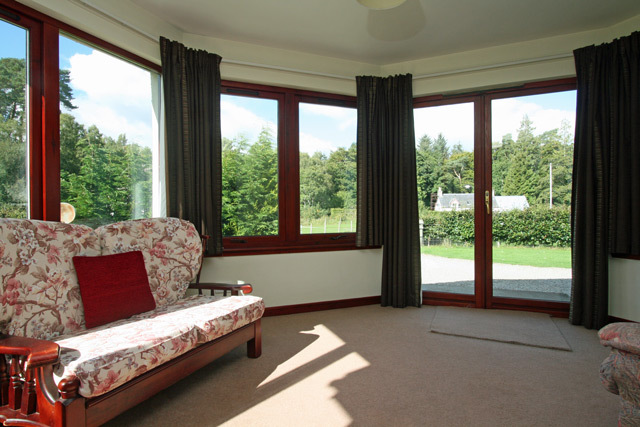 Luxury property 4 miles from Loch Ness at Whitebridge on the quiet and unspoilt side of Loch Ness. 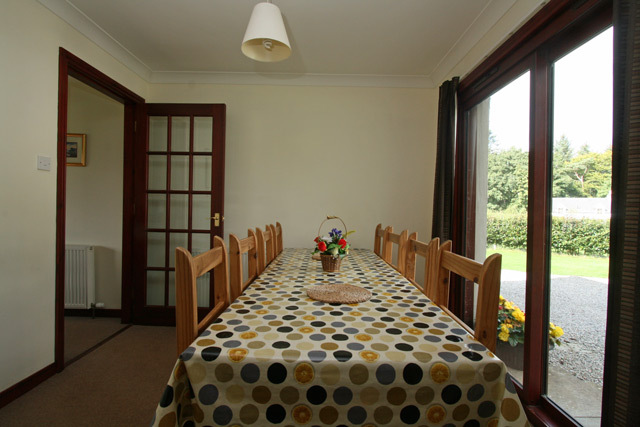 The cottage is just a couple of minutes walk from a country pub which also serves excellent food. Your pets are welcome at Balmachree and they will no doubt be in their element exploring the local footpaths and hill walks, not to mention the fun to be had dipping paws into the nearby rivers and Lochs!! The garden is enclosed so that your four legged friends are not tempted to go walkies without a human companion. 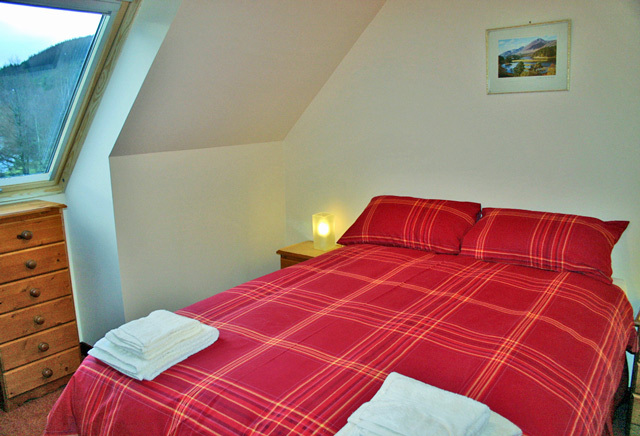 Situated at Whitebridge, in the heart of the Scottish Highlands 4 miles from Loch Ness on the south side of Loch Ness, 9 miles from the picturesque lochside village of Fort Augustus. 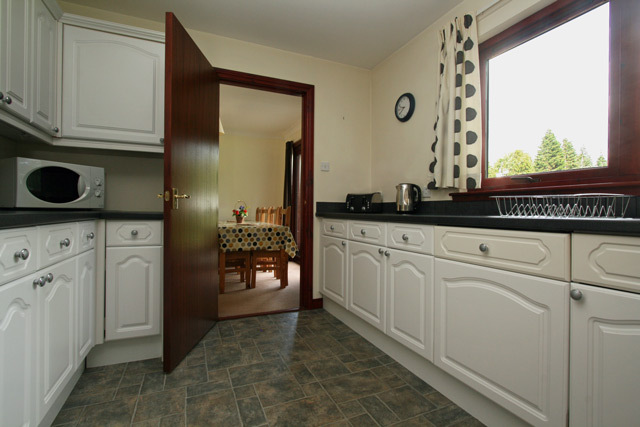 This large high quality self catering holiday home has been designed and equipped with the small group or larger family in mind. 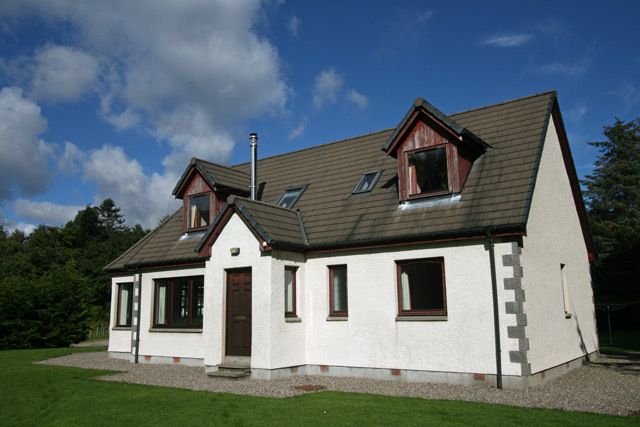 The stunning Highland location is the perfect setting for a truly memorable self catering holiday in the Highlands of Scotland. This is one of the most beautiful areas of Scotland and so close to the world famous Loch Ness. 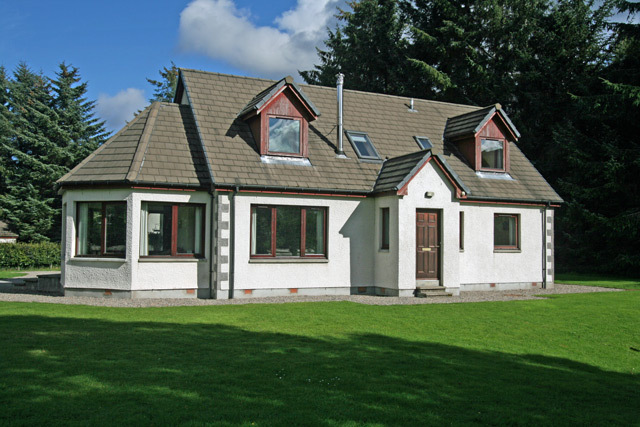 Balmachree holiday house is situated on the riverbank surrounded by hills and birch woodlands and threaded with quiet roads, the area is ideal for the outdoor enthusiast for cycling, hill-walking, mountaineering, skiing, fishing, (fishing permits can be obtained at the nearby Whitebridge Hotel) windsurfing or golf. 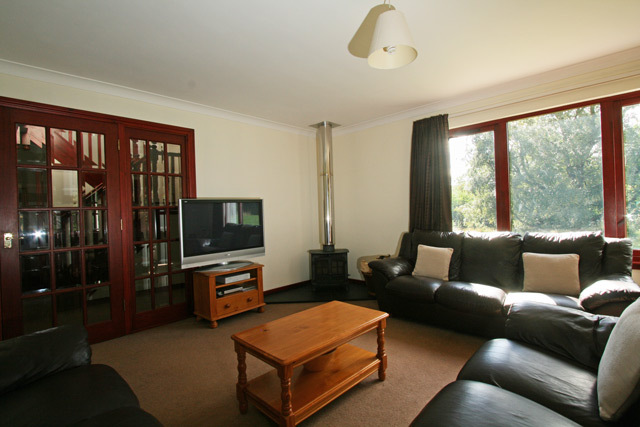 The house with 2 double & 2 twin bedrooms, including one downstairs double bedroom, is big enough to cater for a group of 8 people in spacious comfort. The Whitebridge Hotel is an easy two minute walk from the house and serves excellent food. The hotel bar and restaurant is open to non residents. We were a group of 7 walkers so the location was ideal for heading in any direction and within an hour's drive of lots of hills. 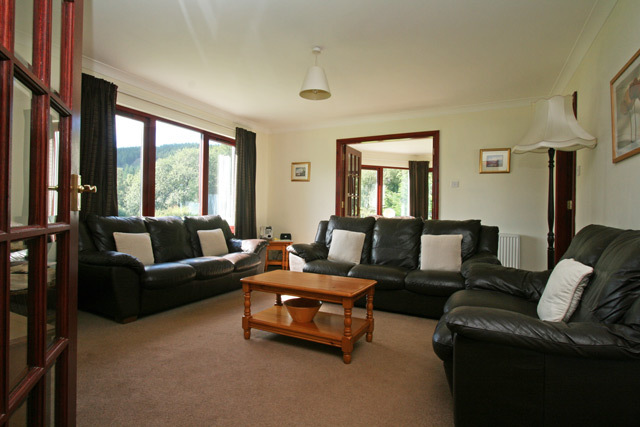 Balmachree is a lovely, comfortable, well equipped house - plenty space for everyone and in a very peaceful spot. Some plumbing noise in the upstairs toilet is a minor maintenance issue but in no way spoiled our stay. We would all have been happy to have Balmachree as our home! Cannot praise the house and location enough the 3 dogs and both of us had an amazing time and were all sad to leave. A very comfortable house in a nice location absolutly !!! We loved the house, both in terms of its location and its facilities. With 4 children and 4 adults, we had more than enough space. As a starting point to explore the land that Balmachree is ideally suited. We will gladly come again !! We would love to come back! What a fabulous service from the company and an amazing cottage! ( pair of..,) I didn't have high hopes as the photos showed a basic interior but how wrong we were : the house was so comfortable, brilliant layout and lovely and warm with perfect showers and fan breakout spaces and laundry facilities . Only improvement would be placemats and more mugs and cutlery as only 1 set of each . The location is beautiful and remote. 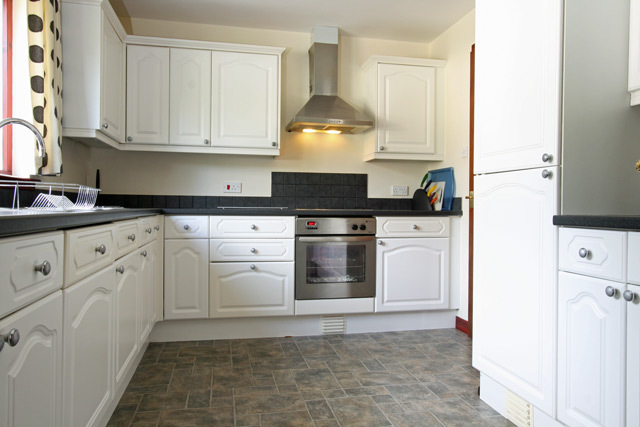 The cottage is spacious and well equipped with white goods. Unfortunately the oven has been cleaned so you cannot see the controls and the photo does not really help. Rather difficult to cook Xmas dinner. I have been to a lot of holiday homes and there has always been a welcome pack of a few teabags coffee etc. After such a long drive and not being able to get in until 4pm you do not want to drive to find a shop. I had brought a lot with me but expected this to be as I had experienced before. I would suggest perhaps an extra service where you could pay for a welcome pack. I would go again as the area is so lovely but would appreciate a more welcome. We stayed here as 2 families of 4 and found the house to be perfect for our needs. Spacious and well equipped with a large garden which was very safe for the kids. Good wifi and sky tv too if you need it. The local pub also very friendly and good pub grub. Great base to explore the highlands. We will definitely stay again. If you are staying at Balmachree we can highly recommend the walk across the road to the falls of foyers aprox 10 miles round trip but an easy and enjoyable walk for most abilities. What a welcoming cottage at the end of a 12 hour journey. Spotlessly clean and very well equipped. Beautiful area with many fabulous walks. Neighboring pub/hotel again offered us a warm welcome. Dogs are allowed. Food was tasty and great value for money. All in all a fabulous week, when even the sun shined down. Would definitely recommend this cottage. I had originally booked this cottage for my husband my son and his partner and me but my son cancelled at the last moment so two of us had this lovely very large cottage to ourselves. We were not disappointed. Wonderful place. A home from home. Everything one could need. Modern, clean, comfortable with a large garden for the dogs. Only two neighbouring homes near by so nice and quiet. Log fire if needed and sun room, not that we saw much sun! Excellent. Thoroughly recommend it. We had a fantastic holiday whilst staying in Balmachree in Whitebridge. The cottage was spacious, clean, with comfy beds, and very well kitted out with absolutely everything we could have needed for our weeks stay. The massive garden was perfect for our dogs to have good run around and play in. They loved it too. Felt like home away from home! Another great week in Balmacree Cottage (our 3rd year). Plenty of snow when we arrived and lots more during the week. All enjoyed sledging down the slopes in the garden.Got snowed in but still enjoyed the week,even though we had to dig the car out when we were ready to return home.Thank you Donald (cottage owner) for bringing shovels and extra logs down. We will be back there next year. Thank you so much. Our 3rd year in the Highlands (always in February), where all our cottages have been lovely but this could well have been the best! We arrived after very heavy snow falls. When our car got stuck in the drifts on the drive, a local man cheerfully pulled us out and the hotel minded our car until it cleared. Everyone was so friendly. The house was superb - and the views were stunning. Frozen lochs are truely a site to see! A perfect base for touring. We are coming back to Wildeness Cottages and will try another one, though it was tempting to return here!